Textiles made into three dimensions (3D Textiles) have been widely used in many fields because of the special characteristics they offer, where 3D structural integrity, manageable fibre orientation, and shape-ability all contribute to achieving properties and performance required for end applications. Recent years have witnessed the developments and progress in engineering and modelling of various solid, hollow, shell and nodal 3D textiles for applications in aerospace, transport, marine, wind energy, medical, and ballistic protection. Technologies involved in manufacturing 3D textiles include weaving, knitting, braiding, embroidery, filament winding and nonwoven. Improving manufacturing technologies, better understanding of micro-structure and properties, effects of defects, damage mechanisms and long term performance when used in engineering applications remain of main concern for further research. The event will serve as an exclusive forum of distinguished engineers and scientists where they present and exchange ideas and share their wealth of knowledge regarding 3D textile architecture, properties and their applications. This series of conferences started in Manchester UK in 2008 by the late Professor John Hearle and Dr Xiaogang Chen of TexEng Software Ltd at the University of Manchester with more than 150 attendees from Industry and academia. The conference continued in Greenville, SC, USA in 2009, Wuhan, China in 2011, Aachen, Germany in 2012, Delhi, India in 2013, Raleigh, NC, USA in 2015, Roubaix, France in 2016, and returned to Manchester, UK in 2018 on its 10-year anniversary. It has become an important gathering of the global textile engineering and application communities. The conferences have proved to be popular among academic researchers as well as industrialists working in practical problems of textiles, 3D reinforced composite materials and structures. In addition to the electronic proceedings to the 8th Conference, we also published a special issue with 25 selected papers in the Springer journal of Applied Composite Materials. We aim to publish another special issue and an edited book for the forthcoming event. 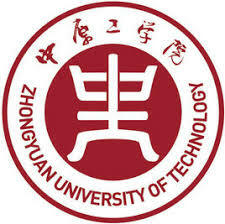 We are now pleased to announce that TexEng Software Ltd in association with the University of Manchester, UK, and Zhongyuan University of Technology, China will organise the 9th World Conference in 3D Fabrics and Their Applications in Zhengzhou, China during 2-3 April 2020, hosted by the Zhongyuan University of Technology, one of the leaders in textile engineering education and research with strong research activities in 3D textiles in China. Central to the meeting is the opportunity to discuss the latest concepts and share experiences in fabrication, performance and the use of design optimization tools across a wide spectrum of applications.